Learn how to make your own home made cheese! Join Paula Maddison who has been teaching the lost art of cheese making for over six years and learn how to make your own hand stretched mozzarella cheese! This is a demonstration style: Taste, Touch, Feel class that will demystify the process of making your own cheese. You will learn how to make your own mozzarella as well as learn some creative and unique serving ideas. 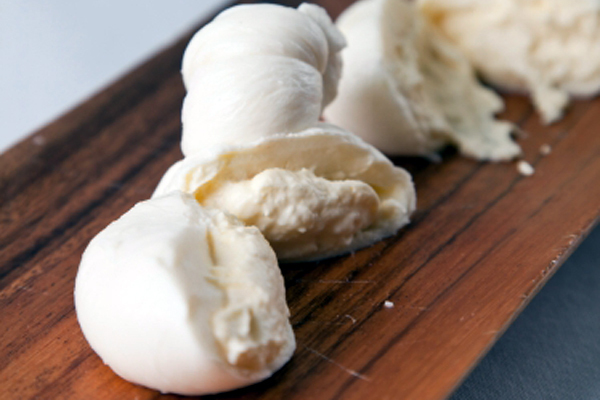 Instructions and ingredients to make over 4 lbs of mozzarella at home are included. Ticket sales close the day before the event. Refund Policy No cash refunds are available for the cultural events, workshop & classes. With at least 7 days’ notice, we would be happy to provide a credit to use towards other workshops and selected Il Centro initiatives (please inquire). If you give us less than 7 days’ notice, we may be able to issue a credit if we can fill your seat from our waiting list, but there is no guarantee. No credit will be issued for no-shows: whether you are able to attend or not, the instructor still needs to be fairly compensated. All tickets are 100% transferable at any time – just provide your receipt to the person attending or let us know their name by phone or email.